『職漁師伝 渓流に生きた最後の名人たち』("The history of the commercial fishermen, the last masters who lived in the streams." The last commercial fishermen in the streams used Kebari, in the same way as Tenkara we call so now. Fishing with kebari is called in many ways, it depends on areas, Tenkara is one of them. 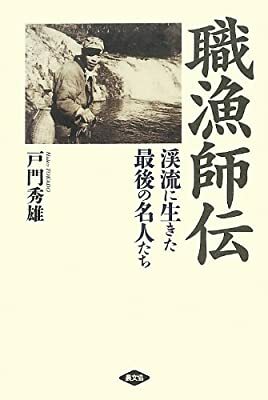 This book reminds me that there are many kebari and techniques for Tenkara. I’ve run upon that book several times over the past couple of years, and have wondered what is inside. Mostly text? Or if there are a lot of diagrams and pictures? I can’t read full pages of Japanese text. I can do ok figuring out the captions on pictures and diagrams. 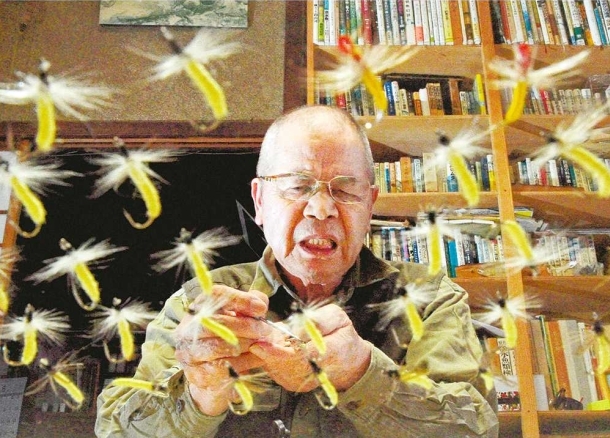 Something that confused me a couple of days ago is in the magazine, Mountain Fishing Joy, they mention a guy who has done a lot of research into the footsteps of the jobs fishermen, the so-called shoku ryōshi (職漁師). The names of the researcher mentioned in the magazine and the author of this book are very similar. The author of this book is 戸門 秀雄 (著). The researcher’s name in Mountain Fishing Joy is 戸門剛さん. I was curious if both are the same guy, but different names are used. . Perhaps a formal name and a nick-name or pen-name. Or if different people - if they are related to each other. I know there is a tenkara master. who was / is known for an old unique style of casting a long line with a short rod. Nylon too if I recall correctly. I think his name is Takekabu. But maybe my memory is wrong. He used two names, his real name and a pen-name. So that caused confusion. When looking at different websites especially when some had new pictures of him , and others older pictures when he was much younger. And looked much different. This book is made from about 90% text and 10% diagrams and pictures. And 戸門剛さん is 秀雄さん’s son. Thank you. A story of the son following in his father’s footsteps. Both following the footsteps of the tenkara shoku ryōshi. 竹株渓遊。 Keiyu Takekabu casting long nylon level monofila(3gou 7m+1m~tippet). I think it is taken from the Weekly Sunday Fishing Tenkara Masters 1 video. The video is on YouTube, but not listed by the original video title. I have looked at the PARRMARK web pages many times before. 竹株希朗氏 , Mr. Masaru Takeyoshi, if that is the correct translation. His casting style is very different from what is mainly seen taught today. From information on that website it is a difficult casting method to learn. His casting method appears to take a lot of energy. Not the 12:00 to 2:00 arc used now. I could never figure out what ハイループ [hairūpu] means in the description of the lines he used. Digital translation will translate ハイループ as High Loop. I thought maybe it was an old line company name. Or a name for a type of line no longer made. From the PARRMARK web page. Not calling the line by a brand name, or a material name like nylon or silk. But calling the line by a popular descriptive name taken from the casting method of Charles Ritz. 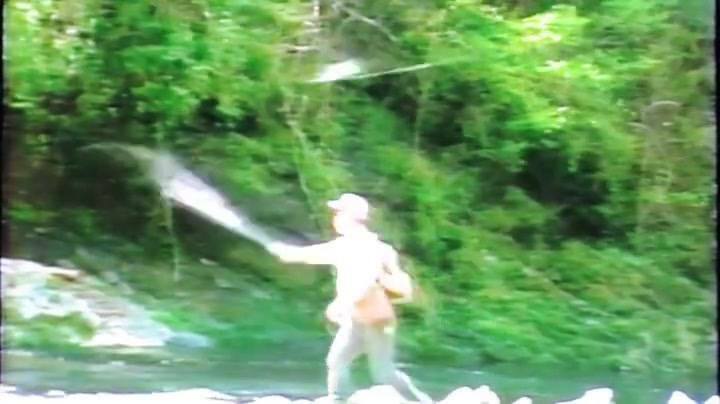 My understanding of Takekabu’s casting method is that is not the Charles Ritz Fly Fishing Casting Method. It was instead a casting method popular in the Kishū region. And known as Kishū Tenkara casting method. Who used what was called テグス糸ロングライン, tegusu-ito (Gut thread) long line. And at that time his long casting distances were thought of as being supernatural. The rest of the story seems to be that when Mr Takekabu was in junior high school he saw Mr. Yamaoka casting and was amazed by it. Takekabu persuaded Mr Yamaoka to teach him his casting method. Acquiring Yamaoka’s 飛ばし(tobashi / skipping or casting) skills. Later Mr Takekabu improved, and refined it into a technique to cast long level lines. Sometimes it’s interesting to see how people thought about things in a different place in a different era. Or is so for geeky guys who like history and the fun of discovering or finding things out. This is also interesting. A good example of what was done many years ago comes back - again gaining favor as a superior line material to use if the conditions are favorable. Calm wind. 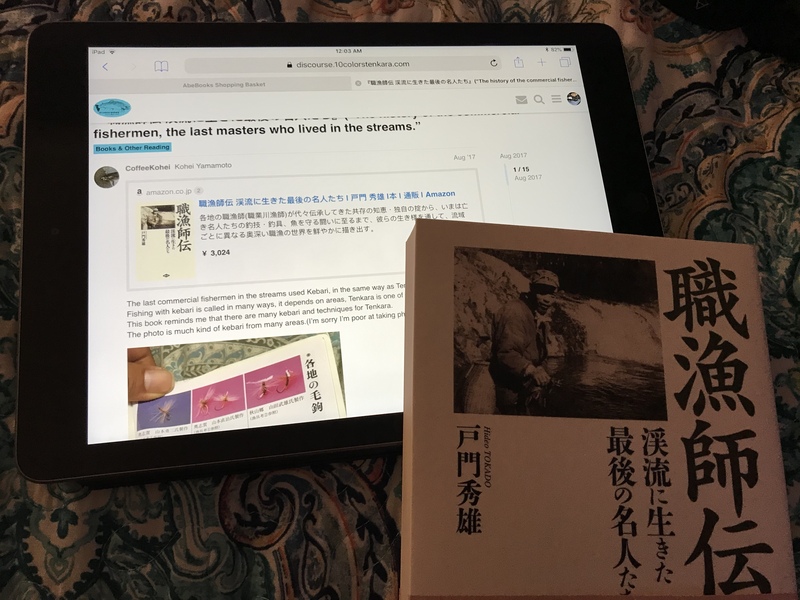 I recall the guys at Discover Tenkara writing something in one of their recent blog post [or maybe it was in one of their recent videos] about attending a tenkara gathering in Japan where they also had a contest to see who could cast a 10 m nylon level line. However, they also wrote that FC level line is preferred over nylon level line if it is at all windy. Equating the weight of a ３号 nylon level line to a 1.75号 FC level line. Writing the nylon line is difficult to cast without good casting skills, and to light to use at all in wind. Anyway, I think Mr Takekabu is still living today. I wonder if he is still able to go fishing and if he still cast using the same method used when filmed 25 ~ 30 years ago. Takekabu Keiyū = Takekabu Nozomi Akira. Same person, One is real name, the other a pen name. Takekabu style Tobashi (skipping) long ago episode ?? The above story is wide ranging, looking for someone in the forest, the road collapsed by a typhoon. Learning to set up an internet HP, types of hooks, and after the war, making their 3m Tobashi pole from local bamboo. Or wood. Two handed casting. In an era before jointed poles, then a progression to glass poles, then carbon poles, and so on. Anyway, I’m gone a fishing tomorrow, back in a week or four. Only short time access to the internet while away. I am quite confused about the proper translation of the following. But the website has a fun picture, and some historical information about Takekabu-san aka Kei Yū. As I recall I think he also authored various articles under a pen name. Kei Yū Wisdom · Compared with fish ?? I forgot I have this book. I found it today when putting away some older Headwaters magazines that I got today in the mail. 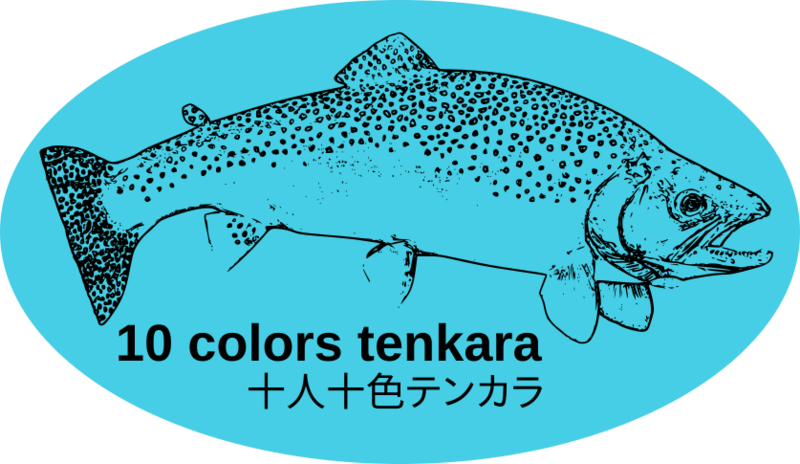 It’s fun to study tenkara. It’s great to have the books in your hands, the magazines and the people from Japan willing to help. I need to get back to work on my own website. Cool book, I like it.